This is the BEST Swedish Meatballs Recipe — a genuine recipe from a Swedish grandmother — with a little twist! Hi there! My name is Helena! I was born in Sweden and lived there for the first 20 years of my life before I moved to Australia in 2010. Ask any child aged from 5 years and over in Sweden what they like to eat and they will definitely say MEATBALLS! It’s safe to say that Meatballs are tied to a lot of childhood memories of family dinners. Another thing Swede’s love is tradition. Swedish Meatballs are on the table in every household at every special occasion and holiday, guaranteed! When I moved to Australia, the one thing that I noticed about this dish was that a lot of people who weren’t Swedes had their own opinion of what ‘Swedish Meatballs’ are. So here is a recipe inspired by my Grandmother Gerd’s and my father Anders’ cooking along with my own little twist. I hope you will love them as much as I do! I use a mixture of ground beef and pork (mince) in my recipe, but you can use all beef if you don’t have or like pork. 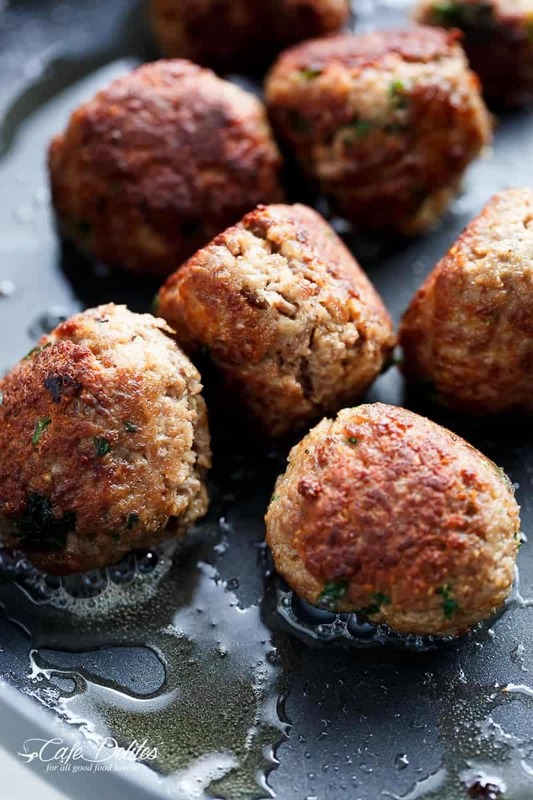 The breadcrumbs are mixed together with milk to make these meatballs extra juicy, keeping them moist while cooking. Let the milk absorb into the mixture before adding in the onion and parsley, then mix well with your hands, pressing the ingredients into the meat. You can roll the mixture into 24 small balls or 16 larger balls. I like to use a combination of butter and oil to fry them in for added flavour. Fry in batches of two so they sear nicely, then transfer to a warm plate and cover with foil. 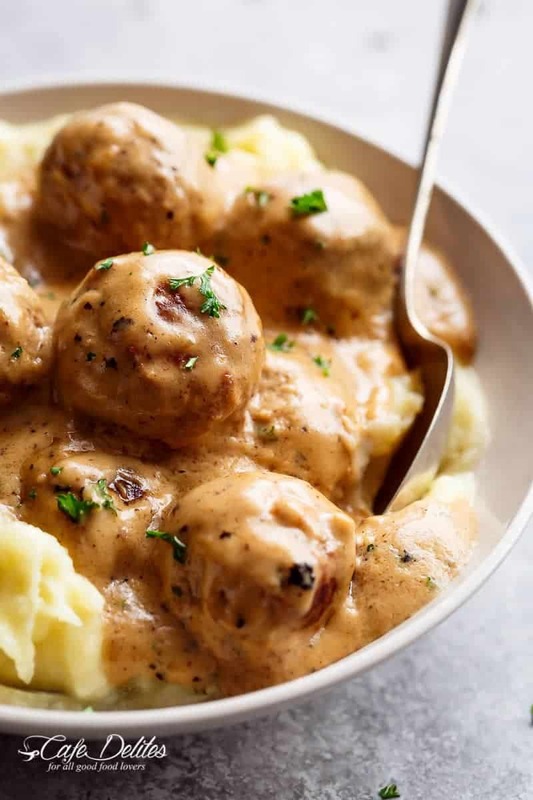 Serving our meatballs with the brown/creamy gravy sauce is not the Swedish traditional way. However, since I do know how much non-swedes love it (yup, us Swedes have folded too… just look at IKEA meatballs! ), I’ve included it in this recipe. Once the meatballs are fried, keep the meat juices in the pan (this is where the flavour is) and add the butter! Whisk in flour until it dissolves, pour in the broth (or stock) and the rest of the ingredients, mixing the sauce well to combine all of the flavours together. We usually serve these Meatballs plain, with either boiled potatoes, mashed potatoes OR pasta (Macaroni if I get to pick!) and with Tomato sauce (Ketchup). That’s the kid version. If you want the more grown up version, we usually serve the meatballs with boiled potatoes, creamy sauce and lingonberry jam! To make the meatballs lower in carbs, use almond meal to replace the breadcrumbs. Also, use 1 tablespoon of cornstarch mixed with 2 tablespoons of water to replace the flour in the gravy sauce. Just add the cornstarch mixture at the end, while continuously stirring over low heat until sauce has thickened. Replace heavy or thickened cream with reduced fat cream if you wish to reduce calories. If using half and half, be careful not to bring to a boil or it may separate. Garlic is not usually found in Swedish meatballs, but I prefer it and have included it for this reason. Omit if you don’t want to include it. I like to grate my garlic clove with the small part of a grater. You can use minced garlic if you prefer. WATCH HELENA MAKE THEM RIGHT HERE! Love Meatballs? Try these recipes! 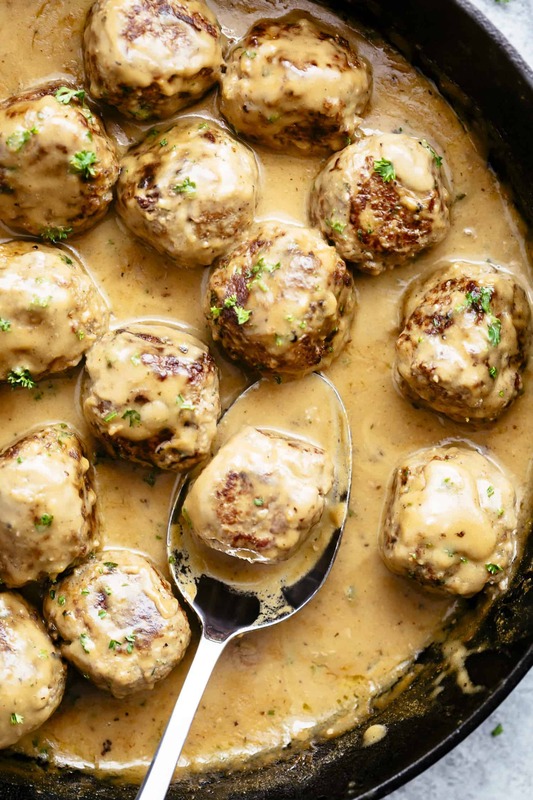 This Swedish Meatballs recipe has been passed down from a Swedish grandmother! 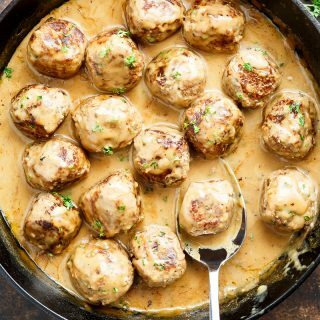 The best Swedish meatballs recipe you'll ever try! Better than Ikea! In a large bowl, mix the breadcrumbs together with the milk, cream (If using), egg, garlic, salt, peppers and spice. Allow the milk to soak into the breadcrumbs for at least 10 minutes. Once the milk has absorbed some, add in the onion, meat(s) and parsley. Mix well with your hands to combine. Roll meat into about 24 small balls, or 16 larger balls. Heat 1 tablespoons of butter and 2 teaspoons of oil in a pan on medium-high heat. Fry meatballs in batches of two so they don’t stew or simmer. Transfer to a warm plate and cover with foil. Add the 1/3 cup butter to the juices in the pan to melt. Whisk in the flour until it dissolves and turns brown in colour. Pour in the broth (or stock), cream, soy sauce and dijon. Bring to a to simmer and season with salt and pepper to taste. Mix the sauce through well to combine all of the flavours together. Continue to simmer until thickened. 2) To make the meatballs lower in carbs, use almond meal to replace the breadcrumbs. Also, use 1 tablespoon of cornstarch mixed with 2 tablespoons of water to replace the flour in the gravy sauce. Just add the cornstarch mixture at the end, while continuously stirring, over low heat until sauce has thickened. 3) I like to grate my garlic clove with the small part of a grater. You can use minced garlic if you prefer. To see more about me, or hear my music, find me on Facebook here! My son is participating in a 1st grade Social Studies fair and we chose to present Sweden, as my husband’s grandmother’s family originates from there. I would love to provide these meatballs as a sampling for the guests. If I tripled the recipe, do you think they would hold up well in a crock pot? Thank you! Can’t wait to try them! Hi Karen, they should be fine in a crock pot! Let me know how you go! I just made this and omg it’s so goood! The sauce I want to slurp and the meatballs are so flavorful even alone! My family loved it and I even froze some meatballs for school lunch or another day. I don’t usually comment but just wanted to say to all those who want something different with ground beef to try this out! Thanks!! Thank you for this recipe! My husband and older kids loved it! I absolutely love the sauce!!! Delicious!!!!!!! I don’t leave reviews very often but this one I felt needed to be acknowledged! 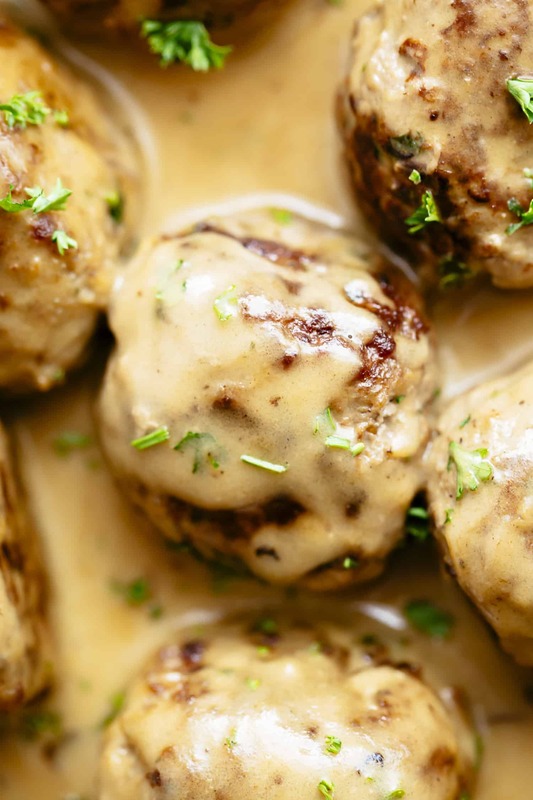 My husband said it was absolutely spot on perfect Swedish meatball recipe! Perfect sauce and perfect meatballs! Thank you again!!! Hello! I just made these and they are delicious. I was a bit surprised by the consistency. It seemed like way too much milk for the breadcrumbs and left my mixture very soft. The meatballs held together, but barely. Did I do something wrong? 1/3 cup crumbs to 1/2 c milk and 35 ml cream. 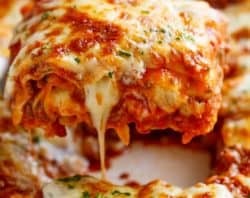 What are the ingredients of the sauce? The ingredients for the sauce are located just below the ingredients for the meatballs. Thanks for following along with me! I prepared these Swedish Meatballs for last night’s dinner. I had ground beef (1 1/3 lbs.) and was looking for something besides Italian or Mexican or burgers or meatloaf. This was delicious. I had to improvise a bit based on what I had on hand since I didn’t buy specifically for this recipe. My mixture made about 35 tablespoon-size meatballs. I fried some and baked some – just to test. I didn’t have any Grilldrykka or all spice or even all purpose seasoning so I omitted it. (I found a great recipe online for all-purpose seasoning, but frankly, I was too lazy to mix it up for only 1/4 tsp. Now I have a batch mixed in my pantry!) I used all chicken broth because I had some leftover from a previous recipe and heavy cream. The sauce was silky and creamy and rich – I actually had to thin with a bit more broth. After returning the meatballs to the sauce, I put it in a warm oven to hold temporarily until dinner time. Served over macaroni and alongside steamed peas/carrots and garlic bread. Next time, I might add a bit of finely chopped mushrooms to the cream sauce and bake all the meatballs just to avoid the grease overspray of frying. This cream sauce would also be great served with pan-fried pork chops or chicken-fried steak or just fried chicken. I look forward to experimenting! And BTW: my to y.o. son LOVED it! Thanks for a great recipe. How long should I cook the meatballs once I add them to the gravy sauce? Can you make a bigger batch and freeze some for later? And would you freeze before or after cooking the meatballs? I made a vegan version for a friend, just throwing in store bought veggie mince and swapping the cream for soy cream/butter for an alternative. Fantastic. The recipe was delicious as was the sauce. WOW! That sounds great! Thank you for sharing! Made these for the family and for once I had a unanimous thumbs up!! Thank you for another fantastic recipe. This recipes is VERY close to my own Swedish grandmother’s. Swedes never use garlic in traditional recipes tho’. And I’ve always used just milk in the meatball mixture and never make the gravy. The KEY to a lovely browned meatball is you MUST use a well seasoned iron frying pan! I always serve with macaroni in a simple white cream sauce.. Always one of my favorite cool weather dinners! Made these tonight, the meatballs were delicious! Thickened the gravy a little more and didn’t add the cream. Also added mushrooms and onions to the gravy. Sort of a Salisbury steak play on it. Thanks for the great recipe! Made for my wife and I . Loved them . Will definitely do again . I made this for my bible study group here in the Swedish American hotbed of the southwestern burbs of Minneapolis. My husband is 100% Swedish ancestry so I’ve eaten my fair share of meatballs. I’ve made his Swedish grandmother’s recipe, and also have used a recipe by Marcus Samuelson. But THESE…these were delicious. In fact, I just came back from a 2-week heritage tour in Sweden where I did have the meatballs in a restaurant and those were not as tasty as these. The only thing I might do different next time as a personal preference is to use half and half instead of that glorious heavy cream for the sauce. Trust me, I love cream but it made the sauce very thick. 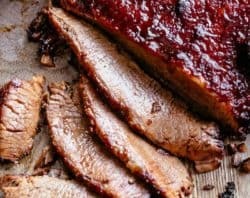 I used 90% lean beef and made my own Grillkrydda. Also because we had a no-pork person dining with us, I substituted ground veal. In the traditional “Minnesota style”, we served with mashed potatoes, lingonberries and peas. Because it is summer, we also had a cucumber side salad in the Swedish style. We were carrying out a theme so we had Wasa crackers and Havarti cheese with smoked white fish for appetizer. We washed it down with sparkling white wine and sparkling fruit drink. Mmmmmm. I was in fear of there being no leftovers! This is my new go-to recipe for or New Year’s meal (our family tradition). Tack! 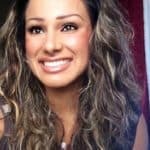 Hello Karina! I’m a new fan from the Philippines. I have tried some of your recipes and they all turned out delicious, my family & relatives love them. 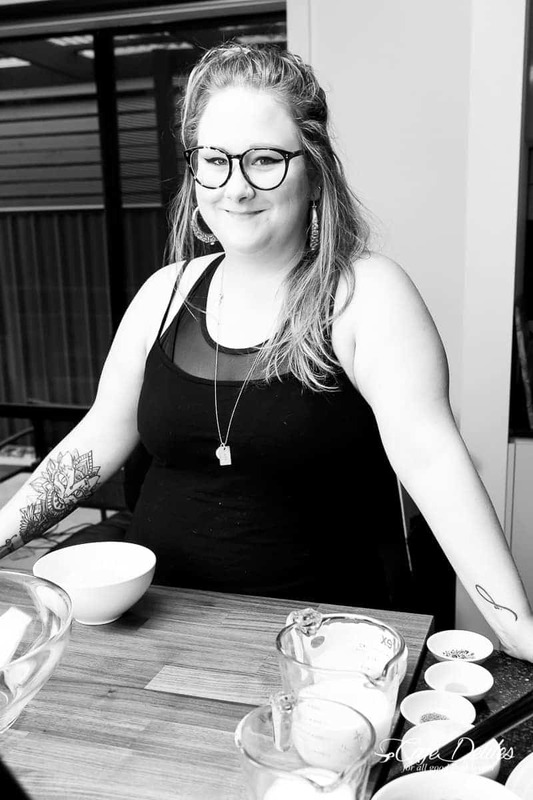 I would like to try Helena’s Swedish meatballs but I cannot find dijon mustard in my local grocery store, can I use any other mustard? Thanks so much for sharing your talent in cooking & baking. That is great to hear! Thanks so much for following along with me! I am so glad that you found me! For the mustard you are welcome to use any other mustard except a regular mustard if you can avoid it. Hope you enjoy these meatballs! Wow. Made these the other night and they taste amazing. Super easy to make, only look around 30 minutes. The flavors were so good!!! Highly recommend making this. I have found the best way to get nutritional info on all of the recipes is through MyFitnessPal.com. You just type in the recipe and it tells you! 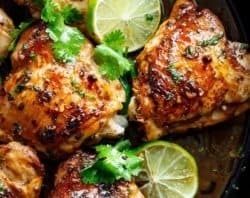 Skinnytaste.com is also a great resource for healthy and delicious meals and provides nutritional info. Hope this helps! I was looking for some directions to add to my Swedish grandmother’s list of ingredients and love the look of these. Hers calls for 1/4 t. nutmeg and 1/2 t. ground allspice, maybe that’s similar to the grillkrydda? Thanks for helping me get Christmas Eve dinner on the table! We love these meatballs! I’ve made them four times and they turn out beautifully! Served on mashed potatoes! They are even better warmed up day two!!! Amazing! 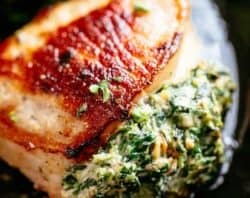 I made these for dinner for myself and my husband and he raved and told me to add this recipe to my list for Sunday Dinners. I made them with the creme sauce and paired them with Egg noodles. There was hardly any talking at the dining room table because the both of us were too busy enjoying our swedish meatballs. Thank you for this excellent recipe. Oh, and I found you on pinterest by the way. Good old Pinterest! I’m so happy to hear that Rashima! Thank you so much for sharing your feedback! Thank so much Eileen! So happy to hear that! What are people using as a substitute for Grillkrydda?? I have a season salt but I don’t think it will go well in this? I’ve looked up the name and it came up with very different seasonings. One was a home made BBQ spice.. the other MSG and other items. I never knew that Swedish meatballs didn’t use the sauce. My daughter doesn’t like sauce so this is a good way to teach her that she really doesn’t have to have it. I will make sure we have some mashed potatoes on hand. Thank you I will be trying this very very soon! To many 5 stars not too. 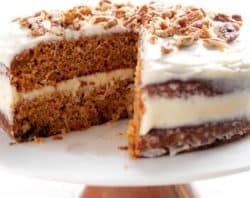 This recipe is amazing and so easy to make. 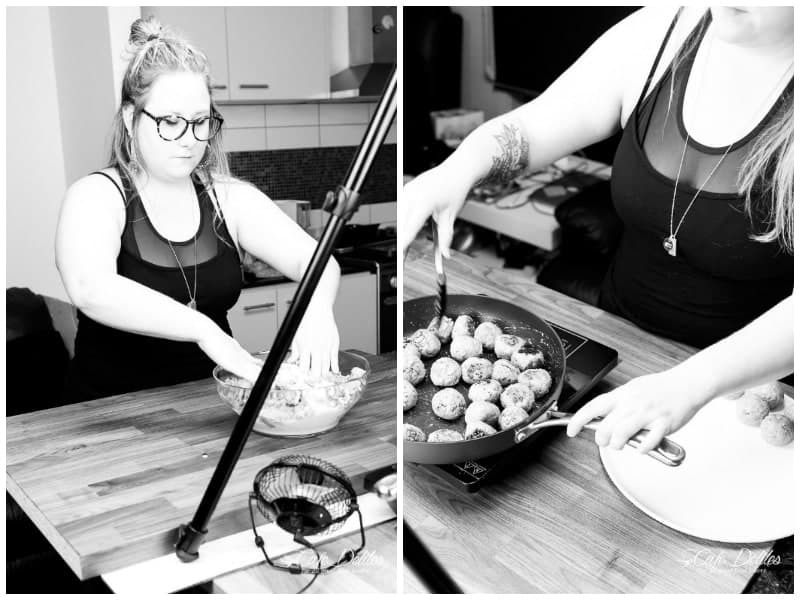 I’ve never had Swedish meatballs before but I’ll definitely be having them again and will be showing off to everyone that I can make meatballs better than IKEA! ? OMG! This is the best recipe and even tasted better the next day when the meatballs really absorbed the sauce. So good. I’ve been raving about it to everyone. The only thing I would change is I would bake the meatballs and use the drippings for the gravy. I always destroy pan fried meatballs. Absolutely delicious! Just like the ones I used to savor in the Swedish Club here in Buenos Aires. The ones I made tonight turned out exactly like yours….. I confess I only added 1/3 cup milk instead of 1 cup cream to the gravy. Thank you for a great recipe! I would love to post it in my blog, with all the due respect and acknowledgement!. If you approve, please let me know. Made this meatball recipe couple of days ago, very nice particularly the gravy. I halved the cream used whole milk instead. Served over noodles. Didn’t have grillkrydda, I will check to see if it’s available on Amazon. Thx ladies? These look delicious, but I want to serve them when my brother comes to dinner this weekend. He doesn’t eat beef or port, but sometimes makes an exception for poultry. 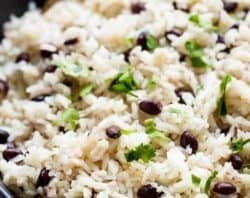 Can I use ground chicken or turkey, instead of the beef? 25-30 years ago I found a recipe for these little gems that is basically just like your’s but at the end they added a tsp. of instant coffee granules to the gravy. I never buy instant coffee, but after trying this twist on the recipe, I always make sure I have some on hand. Just stir it in and let simmer just 3-5 minutes more and it gives such an incredible taste you won’t believe it, very subtle. Hope you enjoy it if you try it! So good! Didn’t and wouldn’t change a thing. Thank you for the best Swedish meatballs! Yum. I used ground elk and ground sausage. I added mushrooms to the gravy and it was wonderful served over meatballs and mashed potatoes. This sounds and looks amazing!! Cannot wait to try them, I will be putting them over egg noodles. Karina and Helen we absolutely loved this! The meatballs have lots of flavor and are really juicy. I’ve never had meatballs come out like this. Excited for all the leftovers tomorrow. They really are the best swedish meatballs we’ve had. Thanks a bunch! 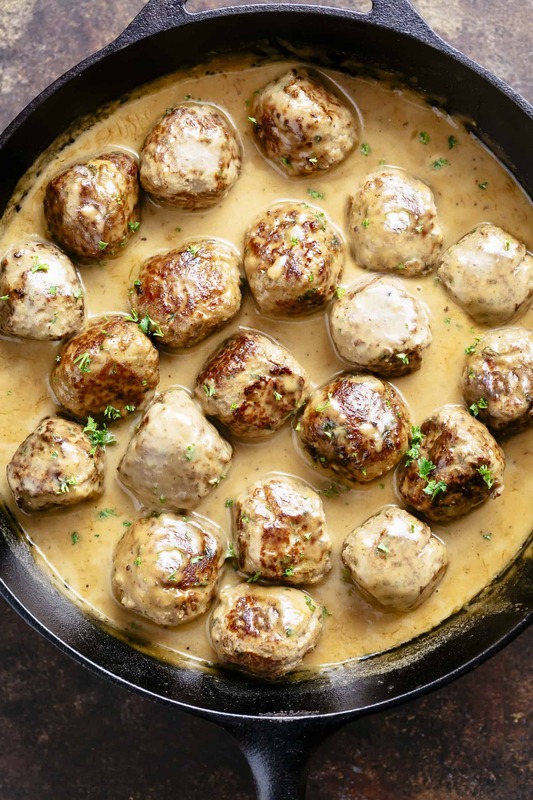 I love Swedish Meatballs and have tried so many recipes through the years. I’m sorry but the Ikea ones are awful as are others I’ve had, so I was hesitant to try these. They came out amazing. My kids wolfed them down and they are so picky they only eat nuggets and fries for dinner. I’m so happy! It’s nice to see them eat and enjoy what they’re eating without the fighting! Thank you for sharing Helena with us. You’ve made one mom super happy over here.All I did was leave out the parsley due to picky children problems, and they were still good. These look so yummy! I have a question though – where can we buy grillkrydda in Aus or is there another spice blend we could substitute? I can’t wait to try this recipe. Swedish meatballs are so good! Need to try your version.